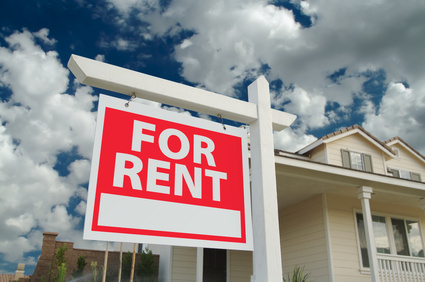 The University of Manitoba has launched a new website to help students find rental properties and mitigate problems caused by illegal rooming houses in Fort Richmond. The Off-Campus Housing website went live on July 2, 2015 and features listings for rentals, students seeking roommates, and students with sublets available. “This site is geared towards all students, but also geared towards new students who are coming to Winnipeg for the first time from outside of Canada who may not know their way around,” said student residences director Barry Stone. The site is managed by Student Residences and also includes easily accessible information from the Residential Tenancies Branch detailing tenant and landlord responsibilities. With the increased focus on illegal rooming houses around the university — led primarily by South Winnipeg-St. Norbert Coun. Janice Lukes, area residents and the media — Stone said it was the obligation of the university to get information out about safe and legal housing to tenants and landlords. Currently it is free for students to list properties on the website, but costs $28 a month for landlords, though the fee is waived for August. According to Stone, the draw for landlords to list on the university’s website instead of Kijiji and other free classified sites is the built-in audience. Student Residences will not be checking the properties listed, Stone said, admitting that shortly after launching, suspect rentals were posted on the website. However there is a built-in filter to catch illegal properties. “When we opened up on July 2, the second ad we received was very blatantly a rooming house,” Stone said. Ads are reviewed by staff before going on the site so they are vetted to some extent, and in this case, the ad did not make it online. While the website indicates forward momentum in addressing illegal rooming houses in southwest Winnipeg, there is still room for improvement, Coun. Lukes said. The lack of affordable housing around the university is driving illegal rooming houses in the area Lukes said, adding that in the short term, city bylaw officers are doing their best to keep up with the issue. “It’s like whack-a-mole, you shut one down and another pops up because the demand for housing exceeds supply,” she said. There will be a community meeting on the topic of illegal rooming houses in southwest Winnipeg on September 30, 2015 from 7 to 9 p.m. at the Pinnacle Club at Investors Group Field. Coun. Janice Lukes is encouraging community members to attend the event to review the recent administrative report on the issue and get an update on actions going forward. Lukes is also looking for residents to form an advisory committee to advocate on behalf of the neighbourhood. “We must form a resident’s advisory committee so we, as residents, understand how we want our community. We have to become more vocal about what we want and what we don’t want,” Lukes said. In the meantime she is requesting all complaints of overgrown grass, poor property upkeep etc., be reported to 311.